Once again PDX does not disappoint! 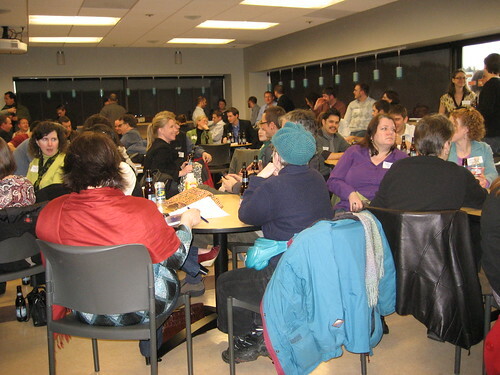 Thank you to all who were able to come out and spend your time with us at the second Social Media Club PDX event. It was a wonderful event, packed to the brim (I lost count) with people from all different industries looking to learn or share how social media can help businesses. And how there is a business need to fill positions to build a brand presence online and engage/listen to their consumers. A big thank you to Intel’s diva of social media, Kelly Feller, for presenting. We will be putting up a link to her slideshow once she removes some of the legaleze from the deck. Follow us on twitter @socialmediapdx for updates. Until then, you can read Intel’s Social Media Guidelines, which Ms. Feller helped create, or follow her on twitter @kellyrfeller. One of the attendees, William Hertling, wrote up detailed notes on the talk for those of you who may have missed the event. Thank you, William. Webtrends was amazingly gracious to us. The soda and free books, as well as the space were all compliments of Webtrends. Be sure to read on their blog about what they are working on for social media analytics. The beers, lest we forget, were compliments of Widmer Brothers. And don’t forget to take the small things challenge where intel will donate on your behalf to Kiva and Save the children. 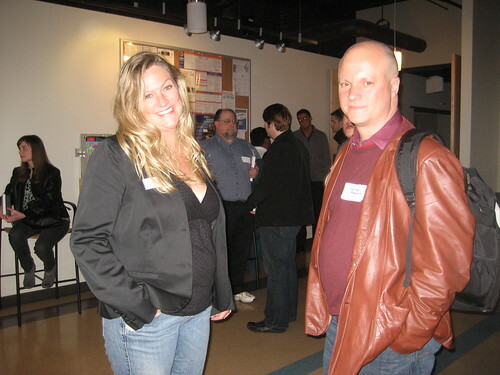 Join Kelly Feller for the second official Social Media Club Portland meeting where she’ll summarize various corporate social media jobs (hers included) & what they actually entail, explore ways to stand out in this increasingly crowded space, and give some hints to agencies & consultants who are helping companies make sense of the growing social media marketing trend. Cost: Free. Seating is limited. After having been in “traditional” marketing roles for the last 15 years, Kelly Ripley Feller is now a social media addict and outspoken (read “loud”) proponent of change and marketing evolution. She has marketed everything from organic foods and senior housing to infrared thermometers and computer software & hardware. She’s worked with a variety of big technology companies including Intel, Hewlett Packard, Microsoft, Intuit, SAS Software, Symantec, and IBM and even some smaller companies & non-profits. Today she is a Social Media Strategist in Intel’s Social Media Center of Excellence where she works on company-wide guidelines & programs that involve social media marketing. In her dwindling spare time she writes & Twitters avidly about technology, social media, marketing, business, politics, and Second Life—where she’s been active for over two years. To prove she isn’t just a geeky chick, Kelly is also an enthusiastic live music lover, Phishead, and classical singer who performs at local schools and senior homes. She holds a BA in Communications and Political Science from the University of Michigan. Learn more at Kelly Feller’s blog. 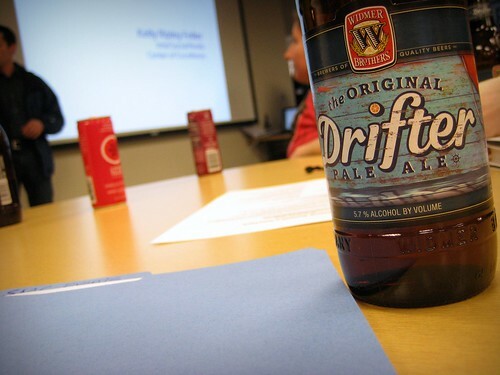 Supported by Widmer Brothers and WebTrends.